I remember the days when I used to eat a whole box of Girl Scout cookies guilt-free. I still eat a whole box myself, but now a bit of guilt accompanies it. Guilt doesn't stop me though. Me and My Pink Mixer posted a recipe for Samoa (Caramel deLites) cupcakes. These are chocolate cupcakes with a coconut buttercream frosting. 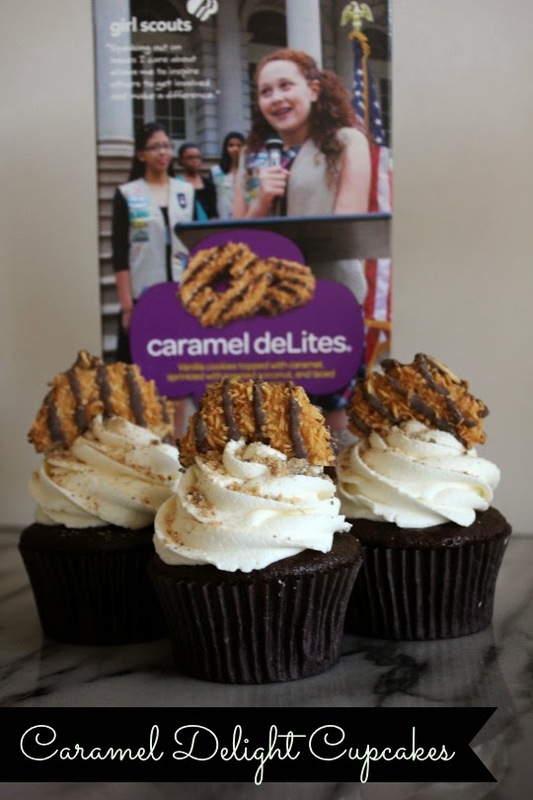 Just another excuse for me to eat more Samoa Girl Scout cookies (my favorite). You can find the recipe HERE.